The vice-presidential debate on Tuesday, October 4 will be more important than a simple discussion between two back-benchers. First, even though it is widely viewed that Hillary Clinton “won” the presidential debate on September 26, she has received a relatively light “bounce” from her victory. Instead of running even with Donald Trump, she seems to be up three or four points. That is still a precarious lead because Trump and his staff know that he did not attack Clinton in areas where she might be most vulnerable. But the vice-presidential debate is likely to be substantively different from the presidential debate, because it will be much more substantive. 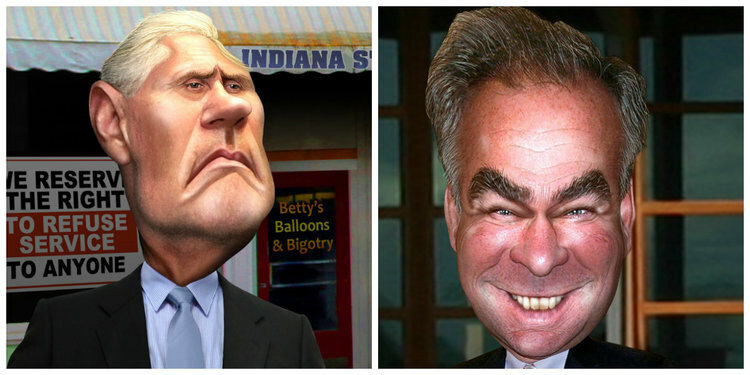 Neither Tim Kaine nor Mike Pence has the personal baggage that either Trump or Clinton has. They are both students of policy and they differ on virtually every issue that separates conservatives from progressives. Kaine will likely play the compassion card, a key pillar of the progressive agenda and one that Clinton would be wise to use in her next debate. As much as conservatives like Pence like to talk about common sense, it is progressives have the corner on plain wisdom because they combine thoughtful analysis with compassion. That leads to public policy that helps people at all levels of income, but most so for those who are most in need. Pence may sound wonky at times, but his ideas will fall as flat as those of the sixteen opponents that Trump had seeking the Republican nomination. They were full of slogans but virtually empty on solutions and thus it became a style, a match that gave Trump the upper hand from beginning to end. Pence is probably more well-versed in conservative policies than any of the other sixteen, with the possible exception of John Kasich. The vice-presidential debate is the one that will be most informative to the American electorate, at least to those who have the interest to tune in. If we’re lucky, the talking heads and other pundits will devote a portion of their post-debate analysis to the issues. That couldn’t happen in the Republican debates because there essentially were no issues. It rarely happened in the Democratic debates because so much emphasis was on the horse race. But with the vice-presidential candidates, the race is less important and there is more room for issue discussion. So many previous vice-presidential debates were mismatches such as Benson vs. Quayle or Biden vs. Palin. While Biden-Ryan in 2012 involved two knowledgeable and well-spoken candidates, the presidential candidates also chose to engage in substantive exchanges from time to time. Maybe the words of Tim Kaine will be able to rally Bernie Sanders supporters in ways that Clinton’s have not yet done. It is becoming more clear that the election results will likely depend on Democratic turn-out and the fundamental way for the Clinton-Kaine ticket to enhance that is to persuade more Bernie supporters to come out to vote, and not waste their choice on the poorly-informed Gary Johnson. Trump may be jealous that the vice-presidential debate is on a Tuesday night when there is no NFL football and only an American League wildcard game in baseball as distractions. Here’s hoping that people tune in to the debate and that Tim Kaine is on his game.